Stockton, CA - The American Red Cross will honor 19 community members from San Joaquin and Calaveras Counties who have performed extraordinary acts of courage. The outstanding individuals will be recongized at the annual Heroes Breakfast at Wine and Roses in Lodi, beginning at 7:30 am. 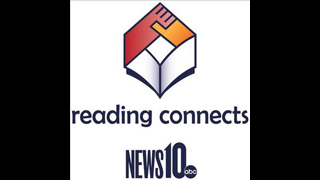 The eleventh annual event will take place April 10, 2013, hosted by News10's Tim Daly. I have been inspired to blog again. Blog about something I love to do...something that I never thought I'd love but I fell in love with it after becoming a mom 9 and a half years ago. Cooking!! I absolutely love cooking. I love the hunt of a good recipe either online or the old fashion way.....a cookbook. I love gathering the ingredients, and mixing my concoction. But must of all, I love the looks on my fellas faces when they try something new!! I am very blessed with good eaters.....they'll at least try something once, but normally will eat every last bite. 2012 Weekly Challenge: BAM! (Back and Arms) It is tank top season, and nothing makes a tank top look better than toned arms and a strong back. This week's challenge will help you get both in just 5 minutes a day! Toby Clark of Lodi is 20 years old and an entrepreneur making tie dyed T-shirts he sells throughout Northern California. Reminder, our "Wash for Josh" is this Saturday, June 23 in the Neto's Parking Lot on Golden State in Turlock starting at 9 a.m. PLEASE come and support the Avila Family and their miracle baby Joshua. Click here to read more about a Modesto family's challenge with Baby Joshua and his rare lung condition. There have also been many gracious donations for our RAFFLE we will be holding. Some of the items include: Several Photography Packages, Gift Cards to several local restaurants, Bass Pro Shops, Hannah's Boutique in Turlock, Accessories by AM, Scentsy, Salon Products including Shampoos, Styling Products, Nail Packages, Wine Baskets, Boutique Jewelry, Children’s Boutique items....and the list goes on!! You won't want to miss out.....tickets will be $1, or 6 tickets for $5, or 15 tickets for $10. THANK YOU to all of you who have donated you have made this raffle possible!! I have a dear Best Friend who endured a almost 3 year battle to become pregnant, in which during this time she had a surgical procedure to remove blockage in her tubes, and almost lost her life during this procedure. When the doctor was finished and she was in recovery she began bleeding internally and ended up seizing and loss mass amounts of blood. Her blood count dropped to about a 6, and in the emergency situation they had no choice but to pump cold blood into her, which caused her to shiver uncontrollably and continue seizing. It took her about a full month to recover from this and shortly thereafter, she was elated to find out she was pregnant. After a smooth 9 month pregnancy she gave birth to a precious Baby Boy 8lbs 7oz. $5 off 2 boxes of Café Escapes K-Cup packs GET COUPON Hot Coupon to save $5 off 2 boxes of Cafe excapes K-Cups packs. This is a rare, high value coupon to print here now.